TANZANIA –help and support for the conservation campaign seems to be flowing from every direction. The latest party to join the fight is the Singita Grumeti reserve. Singita Grumeti reserve, a private wildlife reserve is joining hands with the rest of Tanzania to conserve wild life and tourism in Tanzania. The reserve will be providing mostly logistical and financial help. Singita Grumeti is no stranger to wildlife poaching and near extinction of animal species. 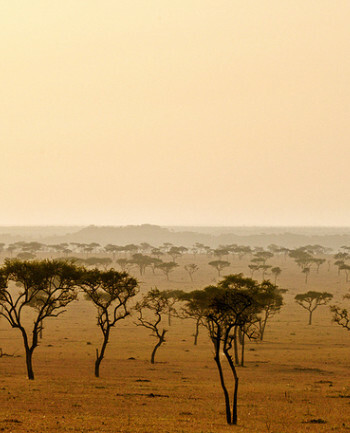 The reserve is a privately owned concession of about 350,000 acres found in north western Tanzania on the borders of the Serengeti. The area was declared a Game controlled area in 1953 and a game reserve in 1995. The Grumeti reserves concession was finally leased in 2003. At that time the reserves’ wildlife population was seriously depleted apparently due to poor wildlife management. The population of different wildlife species has since increased due to funding of anti-poaching units, and conservation campaigns through the Singita Grumeti fund. After the concession was leased, the Singita Grumeti fund was founded as a conservation development driven branch of the reserves. It has since established and funded a special unit of anti poaching rangers to protect wildlife from poachers. This unit often works with Tanzania wildlife department. The anti poaching efforts of the Singita Grumeti reserves extend beyond its borders to the Serengeti and it is reported by management in both game reserves that wildlife population has increased due to the anti poaching units that the Grumeti reserves have provided. According to a census carried out between 2003 and 2008, there was an increase in the populations of buffaloes, eland, giraffes, impala, Thompson gaze;;es, warthogs, cokes hartebeests, topi, ostriches, waterbucks, grant’s gazelles. All these animal species increased in number, even the elephants which are perhaps the most endangered species increased from 355 to 900 in 2006, which is a space of just 3 years. Conservation efforts in the areas near the Singita Grumeti reserves have also been quite successful. It therefore good news for tourism in Tanzania that the Singita Grumeti reserves has joined the Tanzania government in the fight to conserve wild life in Tanzania, although they have always been part of the fight anyway. Singita Grumeti Reserves is where one of Africa’s seven wonders takes place- the wildebeest migration. In addition to that it has a healthy population of wildlife that makes it a popular safari destination. The reserve has more than 74 species of mammals and also provide a worthwhile birding experience with about 400 different bird species. Its habitats include forested thickets, small rivers, woodlands and short grass plains. The Reserves is a good destination for Tanzania safaris. Singita Grumeti Reserves is also a luxury resort offering eco tourism, and an exotic experience for travellers looking for an “out of Africa” experience within Africa. Managed by American investor Paul Jones and a number of other investors, it contributes to the tourism in Tanzania in a number ways. It is conserving the African wilderness and wildlife, providing business opportunities for local communities, and also providing employment.